Folder Size - How to show folder sizes? 1) If you are using the Personal or Professional version of Folder Size then you might want to set up a filter first. 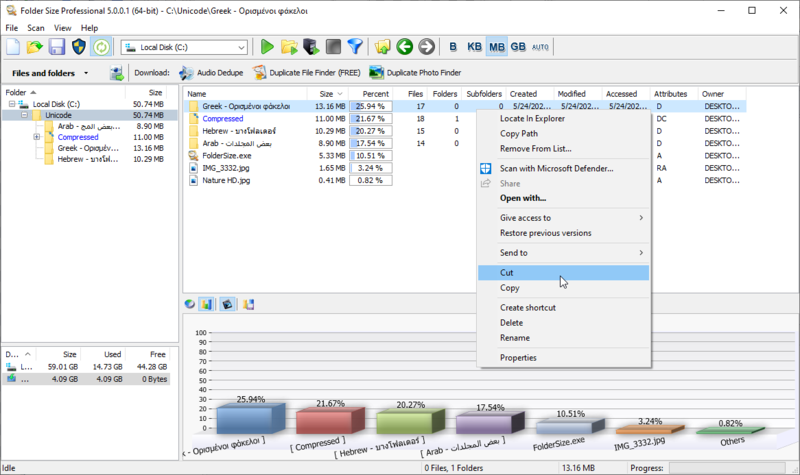 Press the funnel button on the toolbar and the filtering options will be displayed. First you have to choose whether the items that match the filter will be included or excluded from the results. Then set filtering based on Name, Size, Attributes and File age. 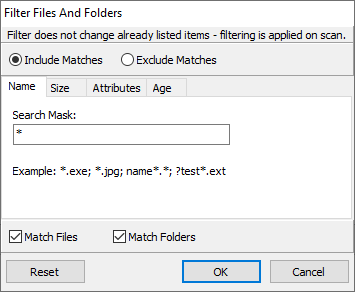 At the bottom of the dialog choose if the filter should match Files, Folders or both. Additional information is available on our FAQ page. Please note that the filter button (The one with the funnel icon) is a two state button. If you press it the filter dialog is displayed in order to setup a new filtering rule. If you exit the dialog with ok it will remain down denoting that filtering is applied. In order to disable the filter press the button again and it will go up and disbale filtering. In order to enable the filter or setup a new one pressing the button again will show the filter settings dialog. 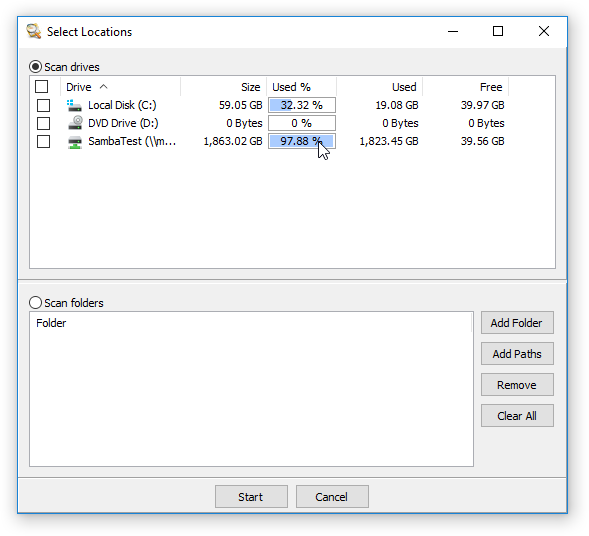 2) In order to scan an entire drive select it from the drop-down list and press the Scan button. 3) In order to scan a single folder press the Scan Folder button. You will be prompted to choose a folder. 4) Use the "Select Multiple Locations" button to scan multiple locations simultaneously. If the locations are on separate physical drives, this will reduce the scan time dramatically. After the scanning process is finished you can check the folders and the files. You can use the folder tree and the folder list in order to navigate through the folders. Use the table headers in order to sort the files and folders based on different criteria. You can use the context menu in order to locate the files and folders in Windows Explorer, show the standard Windows properties dialog or delete the files or folders.